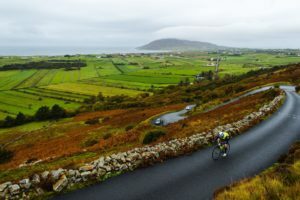 This really is the weather for adding on those extra miles, and where better to to it than in beautiful Donegal. 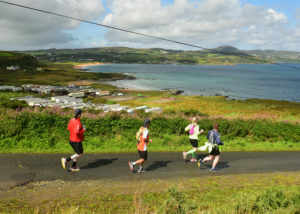 I went out for a canter this morning and just check out the scenery from Mile 10 – 13 of the Ultra course. This is just 10% of the route & 10% of the scenery. 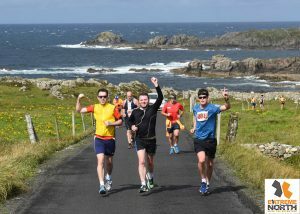 Sure where else would you be in Mid May, whether you choose Ultra, Marathon, Half Marathon or 7 miler. 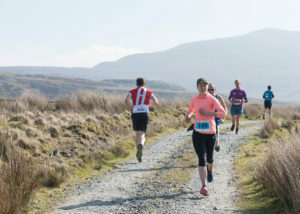 So put 18th – 19th May in your diary for a really memorable run. 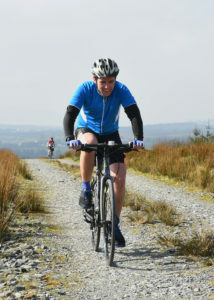 SHORE 2 SUMMIT Adventure race is a Challenge at YOUR level, good craic and a great day out. 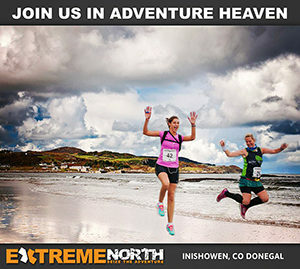 Both enter any event together and get a 12.5% off the double entry. All 3 enter any event together and get a 12.5% off the treble entry. 1/ Your name, previous event completed / Friends Names and address / Course choice. Maybe January plans didn’t come together, so lets make February the new January and get focused on fitness. 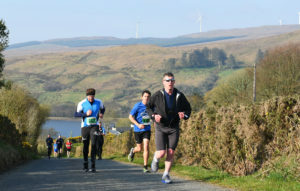 Our Shore 2 Summit Adventure race is an ideal Goal, having more to celebrate on Paddy’s weekend , so get registered now. 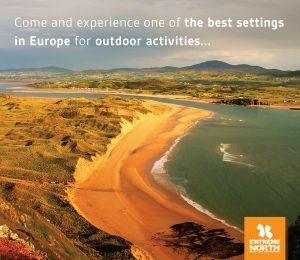 Early Bird open until Sunday (due to registration error yesterday). or for groups of 5 or more please contact me. 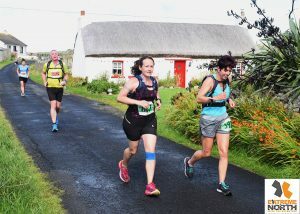 Save €20 – €26 by signing up to Quadrathon International Festival today, early bird closes tonight on all events. Thanks for all the support to date. 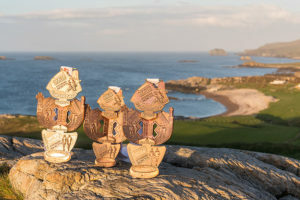 Adventure Racing is all the craze, the Multi discipline challenge which engages more body muscle extending your endurance & longevity by up to 50% longer, so you’ll be amazed at your achievement . 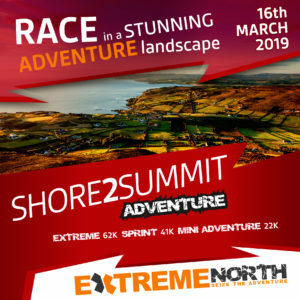 Our Shore 2 Summit in March caters for all Adventurers with 22k, 41k & 62k courses which is ideal to test out Adventure racing and god knows, maybe you’ll give our 132km Tuff-Inish a go in September. Early Bird open for next few days only. 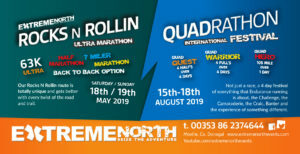 If WALKING or RUNNING is your fitness fix, Extreme North’s Rocks N Rollin Ultra in May or Quadrathon Challenge in August are ideal for any fitness level. 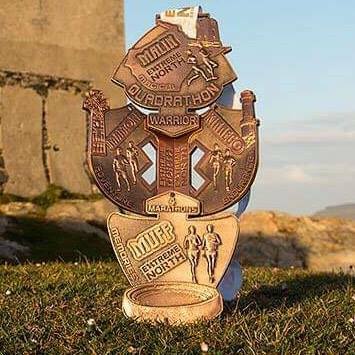 Our events have Quarter, Half, Full & Ultra Marathon distances with early starts for walkers and slow joggers. 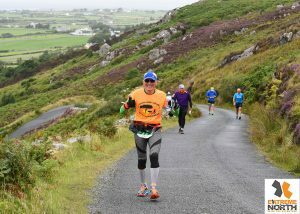 Our rugged courses on the Wild Atlantic Way will both challenge and enthrall you whether your a novice or professional runner. Our events are legend for hospitality and camaraderie. 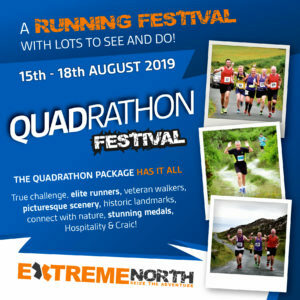 So for a running event AND a memorable experience check out Extreme North.